You are going to love this charming waterfall hike! Those who know me well know that I love to hike to water. There is something so magical and peaceful about a lake, stream, river, or creek…but when it falls off the rocks…oh man. The best! In the past I may have snubbed this little trail because it is only 1 mile round trip and that can’t be long enough to be a great hike, right? Wrong. Especially now that I have a child of my own, I have come to appreciate beautiful trails that are easy and short enough for everyone to enjoy. 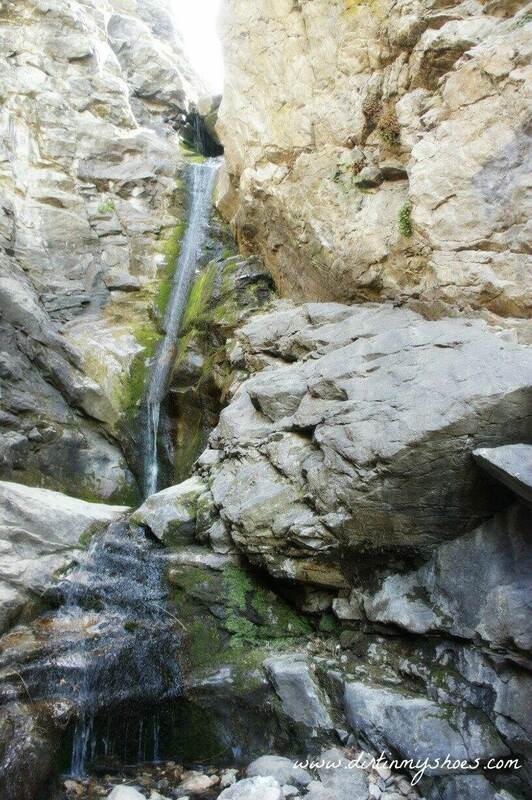 If you are in the Salt Lake area, you need to give the hike to Rocky Mouth Waterfall a try. The trailhead is in a residential neighborhood near Little Cottonwood and Bell Canyons. It is unique because you park in the parking lot, walk up some railroad tie stairs, and then walk along the sidewalk past some houses to continue the trail. As you are walking along the sidewalk, the road will curve to the left and you will see the trail continue between two houses at the top of the curve. The trail does have some elevation gain (mostly stairs) but because it is a short trail, the uphill ends pretty quick and then you have reached your destination. On the trail you will pass a small “cave” and a sealed up mine shaft, which would be a fun picture for the kids. From Salt Lake City, head east on 9000 South until you reach Wasatch Boulevard. Drive south on Wasatch Blvd for about 3 miles until you reach a church on your right. The trailhead parking will be on your left (across the street from the church). The address is 11248 S. Wasatch Boulevard, Sandy, UT. What Trails Do You Enjoy Taking Your Kids On? How beautiful!! I need to plan a family trip here for sure! This sounds like the perfect hike for my family! 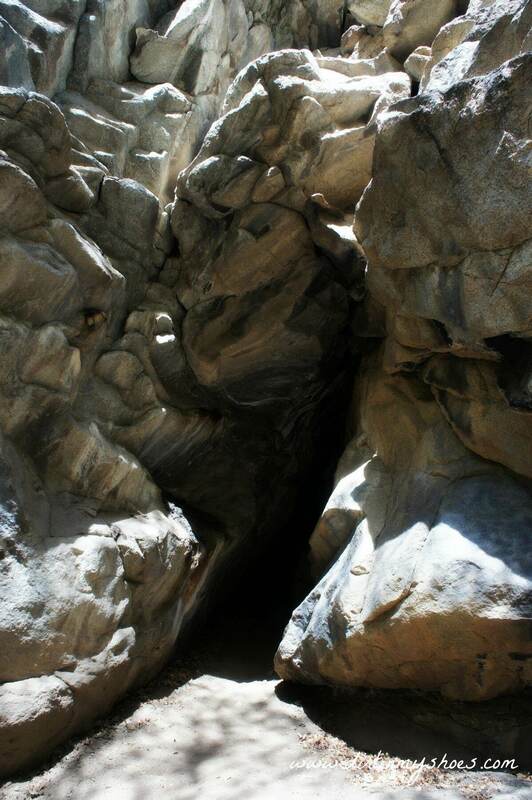 We love the hike in Payson Canyon to the Grotto and this looks just as pretty. Plus my kiddos would love to see a cave! They always wonder if bats or wolves have made a home in them.